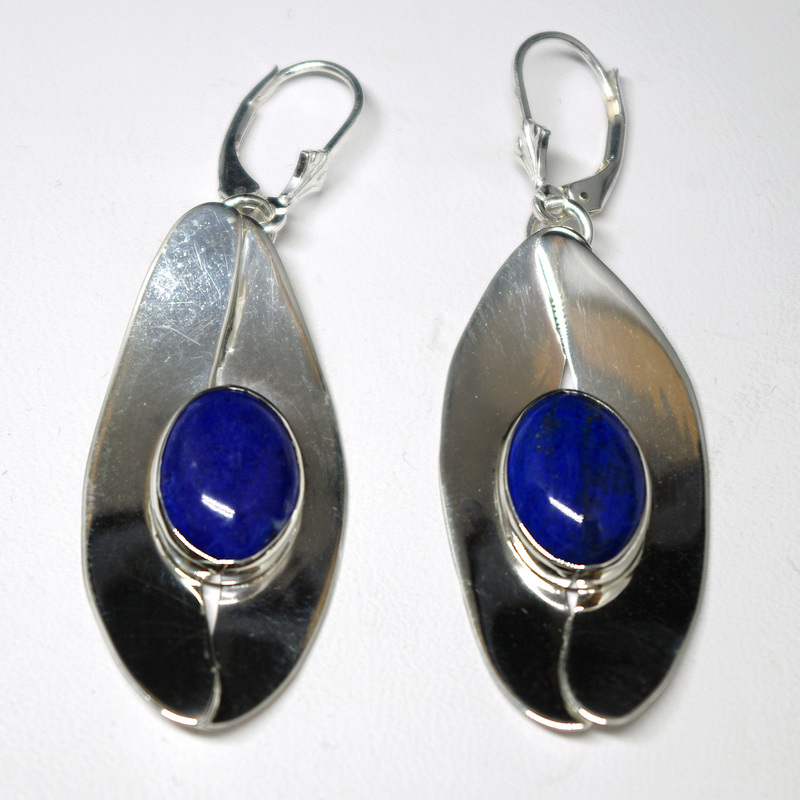 Modern Curves Jewelry - This is a handcrafted pair of beautiful dangle earrings created from high polished strips of sterling silver that frame oval blue Lapis cabochon gemstones. These are light and fun and shown pierced, but available as clipped. Simple, but elegant. 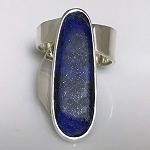 These earrings (1.5" long x .75" wide) are made from sterling silver, buffed to a high polish, and accented by an oval (14mm x 10mm) Lapis cabochon stone. 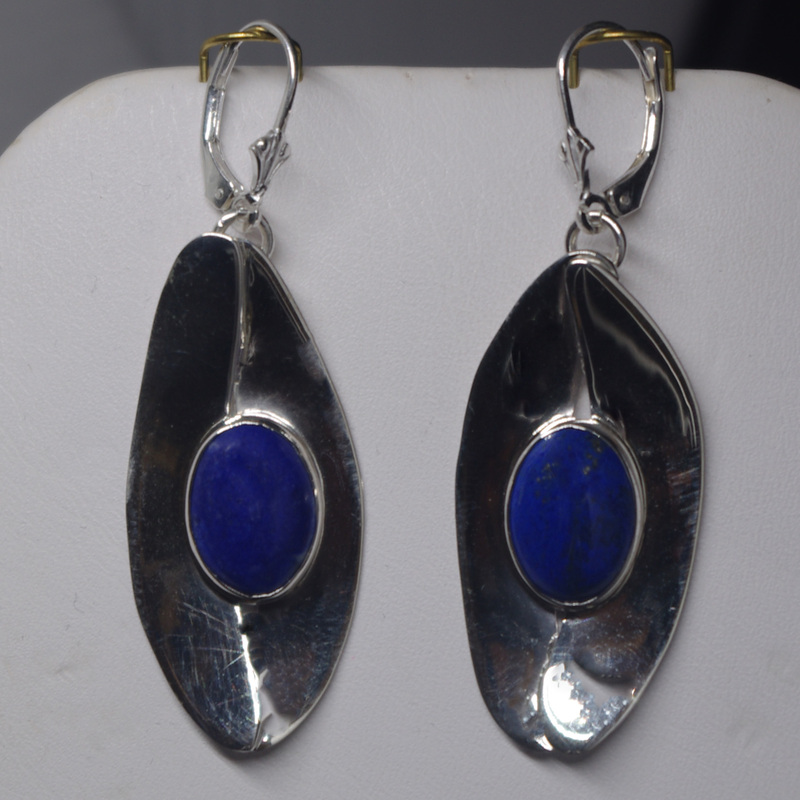 These Lapis dangling earrings are from our "Sterling Leaf Collection" and are light and comfortable. These are shown with Lever-Backs, but are available with posts, hooks, or clips.